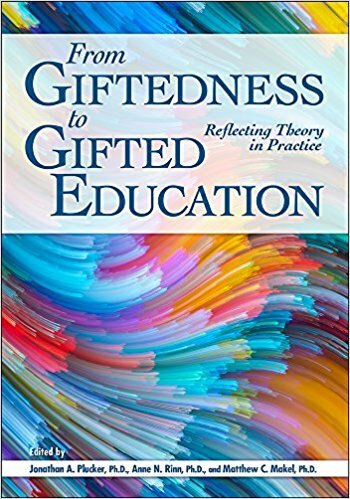 Abstract: The fields of gifted education and talent development have numerous theories and conceptions for how to identify and serve students. This book helps introduce and apply these ideas to help reflect theory in practice. Each chapter introduces readers to a different theory by providing definitions of key concepts, explaining the fundamental conceptual/theoretical approach, and concluding with advice on how the conception can be put into practice. Suggestions for further reading are also provided. Some chapters are based on theories that have been around for decades, and some have been developed more recently. But all chapters focus on helping empower readers to understand and take action without having to reinvent the wheel.